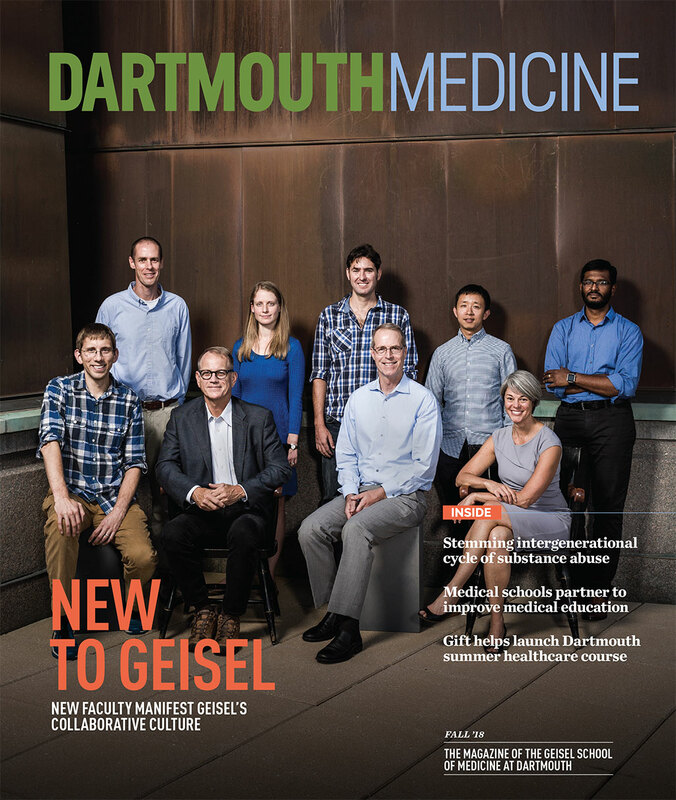 Post Tagged with: "Michael Whitfield"
Michael L. Whitfield, PhD, has been named the chair of the Department of Biomedical Data Science at Dartmouth’s Geisel School of Medicine. 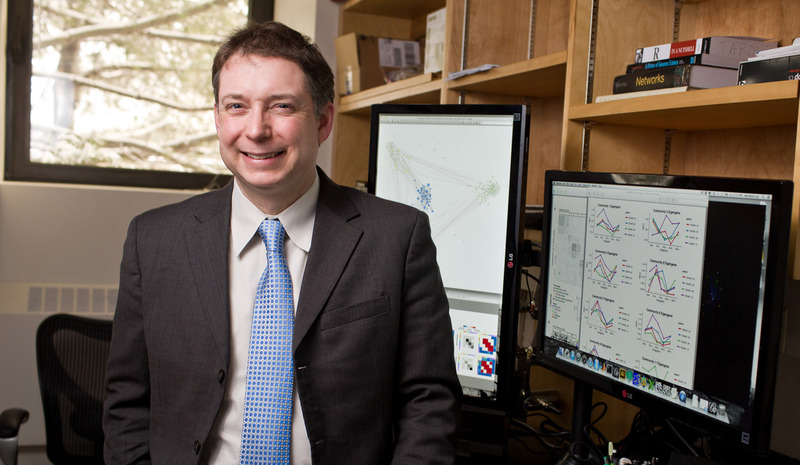 Whitfield, a professor of biomedical data science and molecular and systems biology, has served as the department’s interim chair since November 2017. With funding from the Falk Foundation, Mike Whitfield’s lab is mapping which genes interact with each other in the debilitating disease scleroderma. Their discoveries reveal new avenues for treatment. 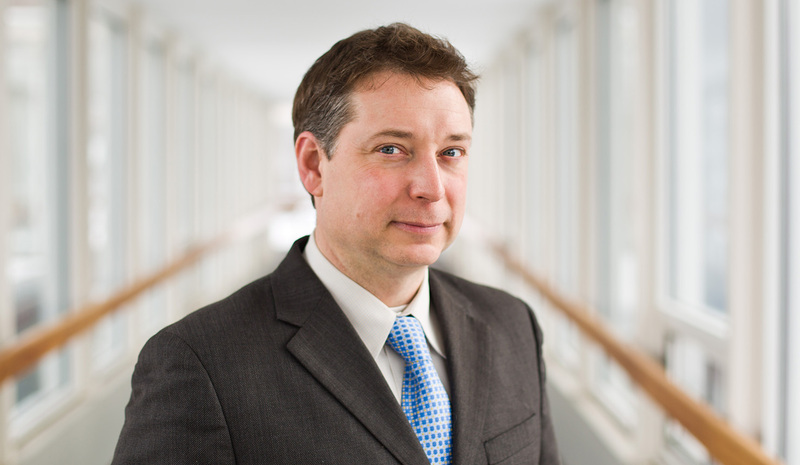 Ground-breaking discoveries about a rare and debilitating family of diseases has earned Geisel genetics researcher Michael Whitfield, a highly competitive Catalyst Award from the Dr. Ralph and Marian Falk Medical Research Trust. Why do some patients with systemic sclerosis respond to therapy while others do not? The answer may lie in the fine nuances of a patient’s disease; some patients with similar disease symptoms appear to have distinct biological pathways driving their diseases.